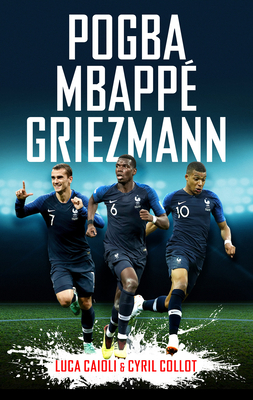 Paul Pogba, Kylian Mbapp and Antoine Griezmann were the stand-out stars of France's World Cup-winning team, drawing comparisons to the great class of '98. Be it Pogba's high-profile apprenticeships in the Premier League and Italy's Serie A, Griezmann's seizing his opportunity in Real Sociedad's youth academy or Mbapp 's dazzling performances for AS Monaco in the UEFA Champions League, all three have forged their own distinct routes to the very top. The result is an unstoppable blend of pace, determination and creativity that cuts through opposition defences with devastating efficiency.